Sale priced items are considered FINAL SALES, and cannot be returned for any reason. Sale items can include defects, over-runs, discontinued items, and may not be perfect. Please consider this when purchasing a "sale item". 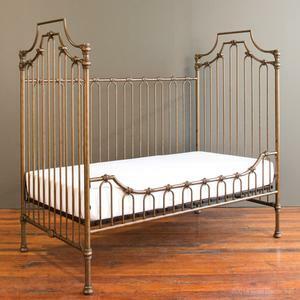 show more >>> The Venetian cast iron crib is the ultimate in cottage style. Our aged gold finish is dark and rich as opposed to a bright yellow hue, with variations in the hand applied patina adding depth and interest. 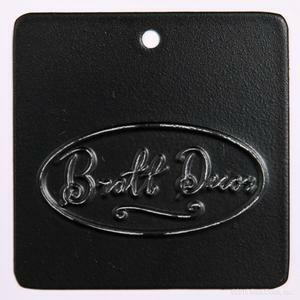 The hand-applied finish offers an aged feel while the silky smooth castings boast exceptional looks and quality. For even more value and to continue the life of this fantastic heirloom, add the optional daybed conversion kit. All of our cribs are designed to the highest safety standards and meet or exceed those set by the U.S. Consumer Product Safety Commission and American Society for Testing and Materials. Each crib is tested by independent laboratories for compliance with US crib regulations. This crib DOES NOT convert to a 4 poster crib. 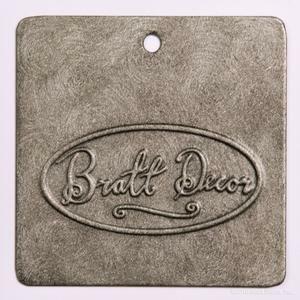 Expertly crafted using the highest quality casting and powder coating finishing techniques. Crib offers three heights for the mattress. Daybed conversion kit sold separately. 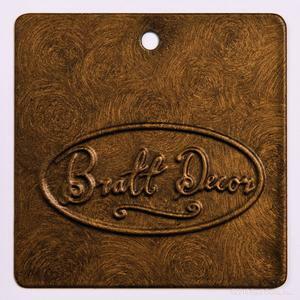 Available in the following finishes: distressed black, distressed white, pewter, vintage gold. Bratt Decor venetian II crib vintage gold The Venetian cast iron crib is the ultimate in cottage style. Our aged gold finish is dark and rich as opposed to a bright yellow hue, with variations in the hand applied patina adding depth and interest. 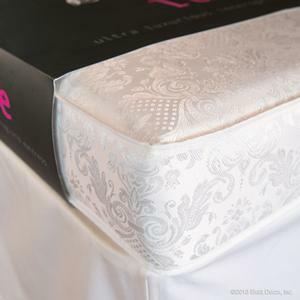 The hand-applied finish offers an aged feel while the silky smooth castings boast exceptional looks and quality. For even more value and to continue the life of this fantastic heirloom, add the optional daybed conversion kit. All of our cribs are designed to the highest safety standards and meet or exceed those set by the U.S. Consumer Product Safety Commission and American Society for Testing and Materials. Each crib is tested by independent laboratories for compliance with US crib regulations. Height to the top of gate: 39"
Distance between pickets: 1 3/4"
Mattress support horizontal dimension: 26 1/2" x 51"
Mattress size: At least 27 1/4" x 51 5/8"
Mattress thickness: Fits a standard crib mattress--not to exceed 6"
Skirt length - Top mattress position: 20"
Skirt length - Middle mattress position: 16"
Skirt length - Lowest mattress position: 12"
special features : Crib converts to a toddler/daybed with purchase of conversion rail. Carton 1: 57" x 34" x 7.5"
The Venetian II crib is absolutely beautiful. It was very easy to put together. All hardware and tools were included. I would recommend this bed to anyone. This crib was exactly what I was looking for! Simply gorgeous!!! Heavy duty, beautiful detailing and color. Highly recommend! Love this gorgeous crib! Well made, sturdy, beautifully crafted...everything I wanted! Arrived in about a week-week & a half which was incredible! 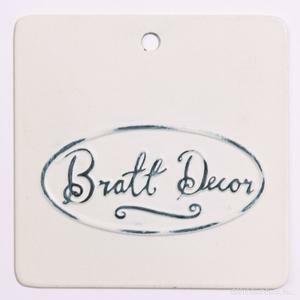 Thank you Bratt Decor for helping us prepare for our baby girl! Can’t wait to put this beauty to good use! This crib is a dream! It is beautiful, with distressed detail. It is a creamy white, not stark white. Extremely easy to install (2 people needed) & very sturdy. I could not be happier with this purchase! It took about 3 months to be delivered, but it has been 100% worth the wait time! Definitely glad I splurged on this crib - I will use & adore it for years to come! !